The first launch for Iridium’s next-generation mobile communications fleet has been pushed back four months — from December until April — to resolve a technical problem inside the spacecraft’s Ka-band communications payload. The announcement Oct. 29 means Iridium will miss a long-targeted timetable to begin launching the Iridium Next constellation in 2015. 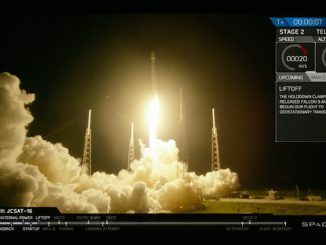 Matt Desch, Iridium’s CEO, told investment analysts the problem is rooted inside Ka-band transmit-receive modules made by ViaSat and delivered to spacecraft prime contractor Thales Alenia Space. 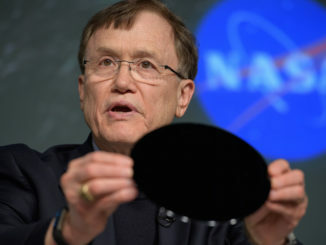 “The primary cause of this problem is not that complicated, nor is it difficult to fix,” Desch said, adding that Thales discovered the issue during testing after assembling the component. The problem means the first pair of satellites will not ship to their launch site in Russia in November, but in March, to begin a 30-day processing campaign leading up to liftoff. The first two Iridium Next satellites are set to launch on a Dnepr rocket marketed by ISC Kosmotras, a Moscow-based company with joint Russian-Ukrainian ownership. The Dnepr is a converted Soviet-era R-36M missile — also known by the Western designation SS-18 “Satan” — developed in Ukraine. The delay means a Spanish satellite will take Iridium’s slot in the Dnepr manifest in December, according to Desch, who did not identify the spacecraft. It is likely Spain’s Paz radar Earth observation satellite. Desch said the rest of the test program for the Iridium Next satellites is going well. 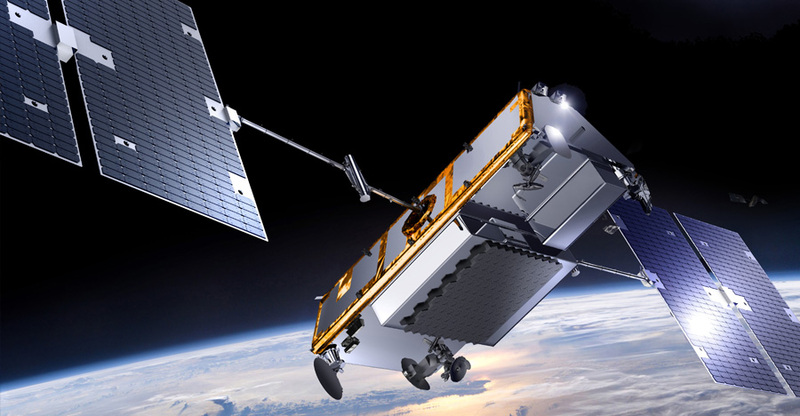 A “protoflight” version of the Iridium Next spacecraft bus recently completed a thermal-vacuum test at Thales’ facility in Cannes, France, in a final milestone leading to the full flight qualification of the Iridium Next satellites in December, Thales said in a statement. 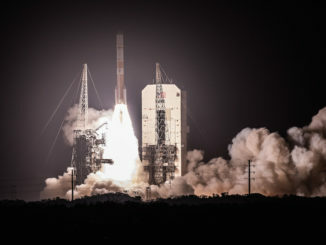 “With the rest of the satellite qualification going smoothly, it is disappointing that this one compoment of Ka-band hardware is causing us another delay,” Desch said. “This is particularly frustrating in that it should have been caught and resolved much earlier in development. Thales Alenia Space is leading development of 81 Iridium Next satellites, and Orbital ATK is in charge of spacecraft assembly, integration and testing at a facility in Gilbert, Arizona. Thales officials said satellite production at Orbital ATK’s Arizona plant is on schedule, with 10 spacecraft currently in the integration flow. Desch said Iridium engineers and insurers want four months of in-orbit tests of the first two next-generation spacecraft before committing further satellites for launch. Seventy Iridium Next satellites are on contract for launches on seven SpaceX Falcon 9 rockets from Vandenberg Air Force Base in California, beginning as soon as August 2016. SpaceX will need to fly Iridium satellites from Vandenberg every other month for the $3 billion next-generation fleet to be operational as scheduled by the end of 2017. “Based on the measures taken by Thales Alenia Space, in-house and with our partners, along with an accelerated production rate, we are firmly convinced that with the first launch taking place in April 2016, and a second launch four months later, the entire constellation will be deployed by the end of 2017, as initially planned,” Galle said in a statement. Iridium plans to launch 72 of the 81 new spacecraft, deploying the platforms into six orbital planes, while keeping nine satellites as ground spares. Each satellite will orbit 485 miles, or 780 kilometers, above Earth, and weigh nearly 1,900 pounds, or 860 kilograms, at launch. 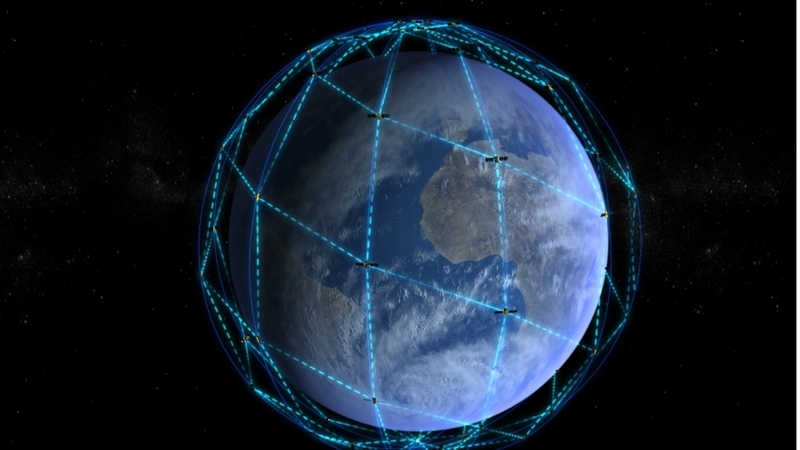 The satellites add modernized services to Iridium’s offering, such as 4G-equivalent telephone connectivity, and replace the company’s aging fleet, most of which launched in the late 1990s.